Myerscough College student James Blades (left) and Richard Trippett, UK and Ireland Division Manager of Bartlett Tree Experts. This year Myerscough College has become a Bartlett Tree Foundation School. Arboriculture student James Blades is the first Myerscough recipient of the £1000 bursary provided by the foundation. Bartlett Tree Experts began the Foundation in 1985 to encourage careers in arboriculture and related fields of study. Twenty-nine colleges and universities in the US are currently affiliated with the Bartlett scholarship programme; Myerscough is the first participating college in England. 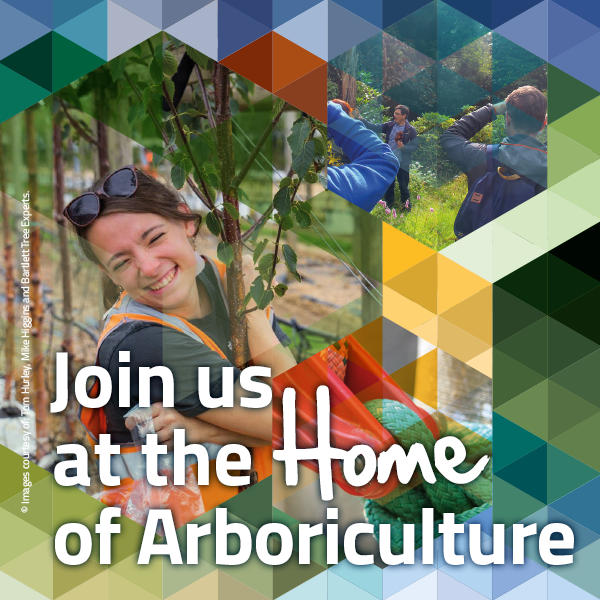 “Myerscough College has a tradition of excellence in producing the next generation of arborists and horticulturalists. After Houghall College, James became a climber for a local tree company, and then decided to expand his experience by working for a tree company in New Zealand for several months. Currently, in addition to pursuing his Bachelor of Science degree in Arboriculture at Myerscough, James works several days a week as a climber for local companies. He is considering continuing his education through the Myerscough Master of Science programme. Bartlett Tree Experts are actively recruiting for arborist positions and consultants in the UK, Canada and USA. If you would like to register an interest, please send an email to careers@Bartlett.com with a brief covering letter and CV expressing your area/location of interest.